Edgartown selectmen learn water main, transformers pose challenge to Church Street project. 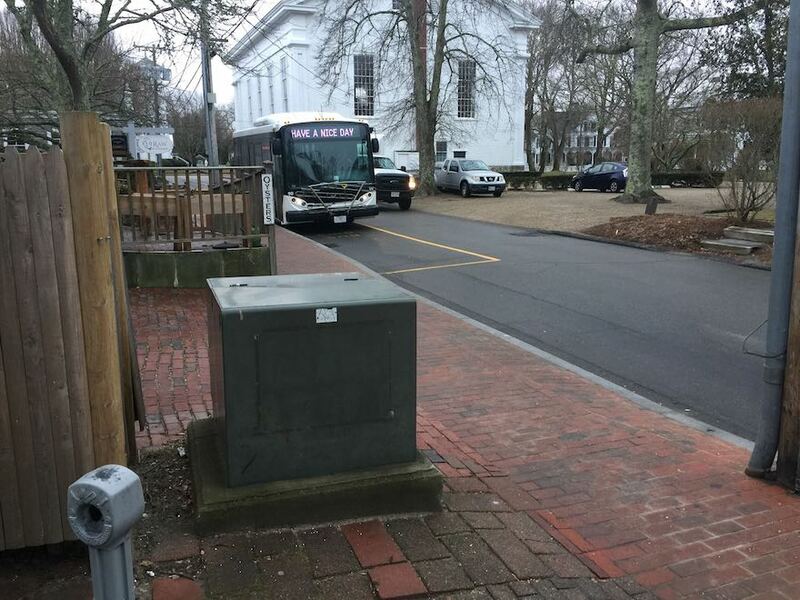 Plans to install three 200-kilowatt charging systems at the Vineyard Transportation Authority bus station on Church Street have been impeded by a water main and other subterranean utilities, VTA administrator Angela Grant told Edgartown selectmen Friday. Since early 2018, the VTA has worked to realize wireless charging systems on Church Street at its station adjacent to the Edgartown Visitors Center. The VTA began hunting for a vendor for the charging systems last August, and finally settled on Momentum Dynamics to deliver the wireless systems for use by the 2019 tourist season. A waterline was discovered “exactly” where key elements of the systems need to be put in the ground, she said. She said the water main must be moved. She also said transformers need to be relocated. To evaluate that relocation, among other things, Eversource will come for a site visit on Church Street on Feb. 13, she said. Town administrator James Hagerty applauded the VTA for taking steps to reduce its carbon footprint, and confirmed to the selectmen utilities posed an impediment to the project. Whatever excavation contractor the VTA picks should be experienced in moving “sewer laterals, water services, and a water main,” he said. 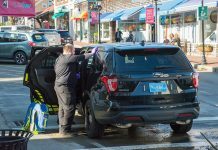 Selectman Margaret Serpa and selectman Arthur Smadbeck both encouraged Grant and Hagerty to work together to square the matter. 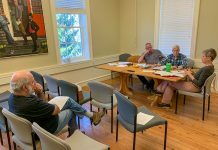 The board did not set a date to receive an update. Selectman Michael Donaroma was absent from the meeting. has anyone though about moving this to a different location ? Is it possible to put solar panels on the roofs of the buses to constantly recharge the batteries while on their route? I have a smaller device on my boat to keep the battery charged so that the bilge pump doesn’t drain the battery. It’s possible, but they would never generate enough power to make a real difference on a buses traction battery.